In the beautiful constellation Cassiopeia located 7,500 light years away from Earth, is a gorgeous star cluster called Melotte 15. It lays in the famous Heart Nebula and stretches for 30 light years in the image below, which would amount to 300 trillion km! 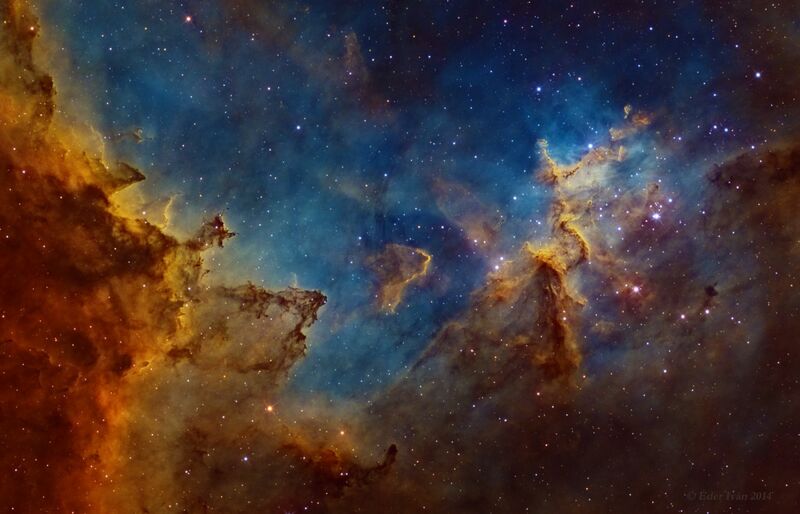 The cosmic landscape of gorgeous colors represent different elements and gasses. In red we have sulfur, green is hydrogen (most abundant in the universe), and finally blueish hue is oxygen. This nebula and star cluster was only formed 1.5 million years ago, which is still considered a baby in the universe time-scale. Who knows what planets and species may already be present in this part of the universe, or what the future may hold for this star cluster. For now humans can look upon this nebula and star cluster with a sense of wonder and appreciation for how incredible the universe is. 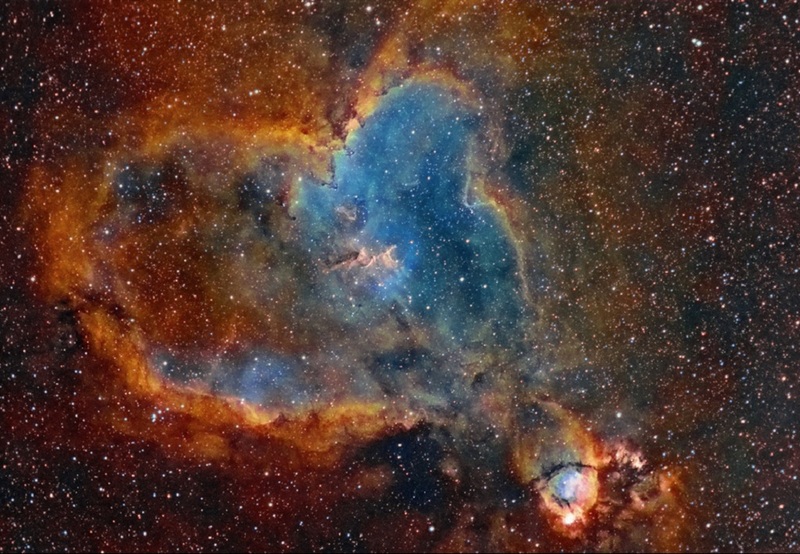 Finally, where Molette is comfortably living in…the Heart Nebula.